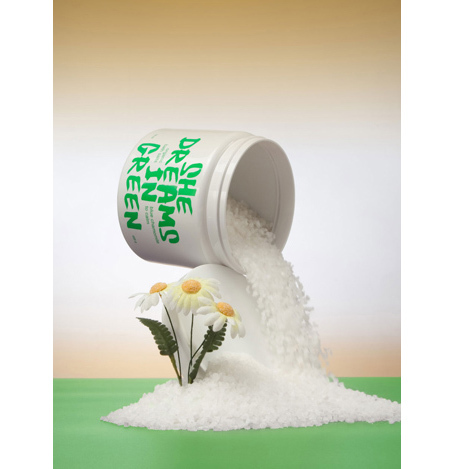 Jasmine Lime Organic bath salts. Soothing, nurturing, calming and relaxing. 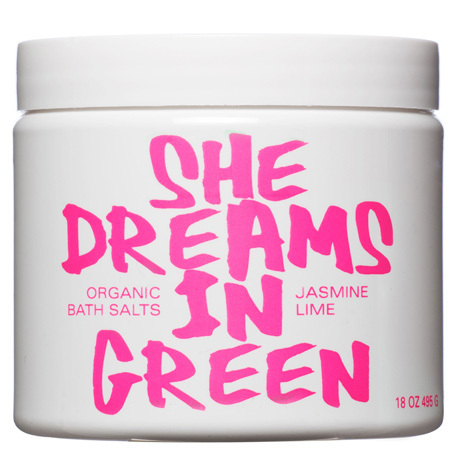 A truly special... SHE DREAMS IN GREEN JASMINE LIME ORGANIC BATH SALTS BAIN BIOLOGIQUE AVEC JASMIN ET CITRON VERT 18 OZ 495 G Soothing, nurturing, calming and relaxing. A truly special formula made with sun-dried sea salts and extracts of organic Moroccan blue chamomile and Italian red mandarin to calm, relax and renew the spirit, body and mind. Scent: Jasmine Lime Directions: Dissolve one large handful organic bath salts in warm bath water, enjoy. 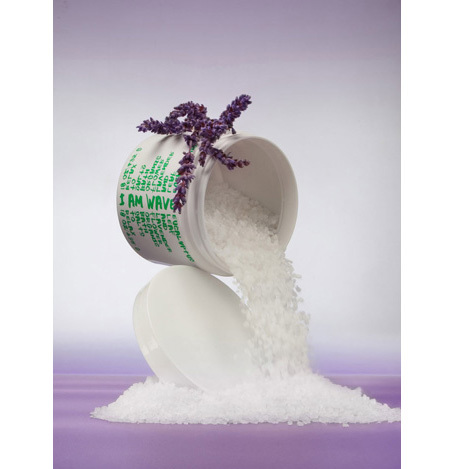 Lavender Orris Organic bath salts. Soothing, nurturing, calming and relaxing. 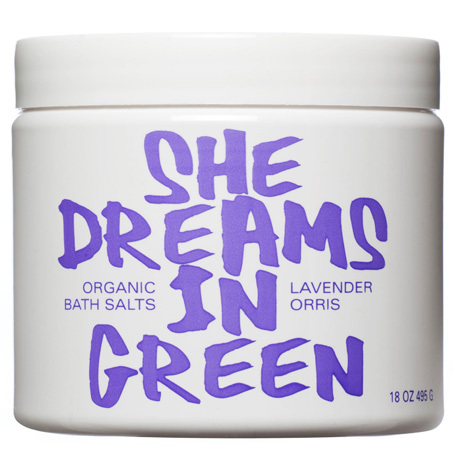 A truly special... SHE DREAMS IN GREEN LAVENDER ORRIS ORGANIC BATH SALTS BAIN BIOLOGIQUE AVEC LAVANDE ET IRIS 18 OZ 495 G Soothing, nurturing, calming and relaxing. A truly special formula made with sun-dried sea salts and extracts of organic Moroccan blue chamomile and Italian red mandarin to calm, relax and renew the spirit, body and mind. Scent: Jasmine Lime Directions: Dissolve one large handful organic bath salts in warm bath water, enjoy. Tangerine Organic bath salts. Soothing, nurturing, calming and relaxing. 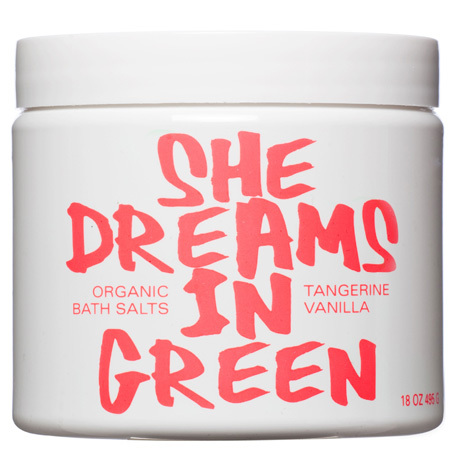 A truly special... SHE DREAMS IN GREEN TANGERINE VANILLA ORGANIC BATH SALTS BAIN BIOLOGIQUE AVEC MANDARINE ET VANILLE 18 OZ 495 G Soothing, nurturing, calming and relaxing. A truly special formula made with sun-dried sea salts and extracts of organic Moroccan blue chamomile and Italian red mandarin to calm, relax and renew the spirit, body and mind. Scent: Jasmine Lime Directions: Dissolve one large handful organic bath salts in warm bath water, enjoy. Orange Blossom Organic bath salts. Soothing, nurturing, calming and relaxing. 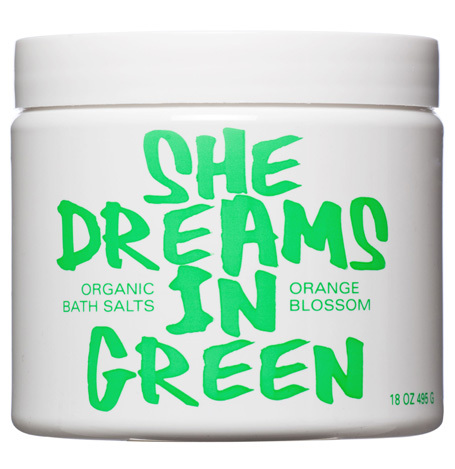 A truly special... SHE DREAMS IN GREEN ORANGE BLOSSOM ORGANIC BATH SALTS BAIN BIOLOGIQUE AVEC NEROLI TUNISIE 18 OZ 495 G Soothing, nurturing, calming and relaxing. A truly special formula made with sun-dried sea salts and extracts of organic Moroccan blue chamomile and Italian red mandarin to calm, relax and renew the spirit, body and mind. Scent: Jasmine Lime Directions: Dissolve one large handful organic bath salts in warm bath water, enjoy. Blue Chamomile Organic bath salts. Soothing, nurturing, calming and relaxing. A truly special... SHE DREAMS IN GREEN BLUE CHAMOMILE ORGANIC BATH SALTS BAIN BIOLOGIQUE AVEC CAMOMILLE BLEU 18 OZ 495 G Soothing, nurturing, calming and relaxing. A truly special formula made with sun-dried sea salts and extracts of organic Moroccan blue chamomile and Italian red mandarin to calm, relax and renew the spirit, body and mind. Scent: Jasmine Lime Directions: Dissolve one large handful organic bath salts in warm bath water, enjoy. Organic bath salts. Soothing, nurturing, calming and relaxing. 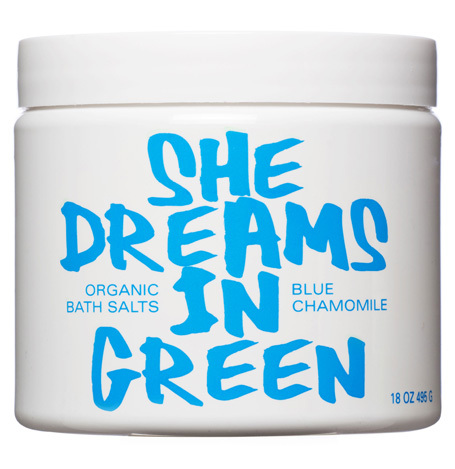 A truly special formula made with... SHE DREAMS IN GREEN ORGANIC BATH SALTS WITH BLUE CHAMOMILE BAIN BIOLOGIQUE AVEC CAMOMILLE BLEU 18 OZ 495 G Soothing, nurturing, calming and relaxing. A truly special formula made with sun-dried sea salts and extracts of organic Moroccan blue chamomile and Italian red mandarin to calm, relax and renew the spirit, body and mind. Scents: Blue Chamomile & Mandarin Lavender Orris Jasmine Lime Tangerine Blue Chamomile Orange Blossom Directions:Dissolve one large handful organic bath salts in warm bath water, enjoy. Rich and emollient organic bath oil. 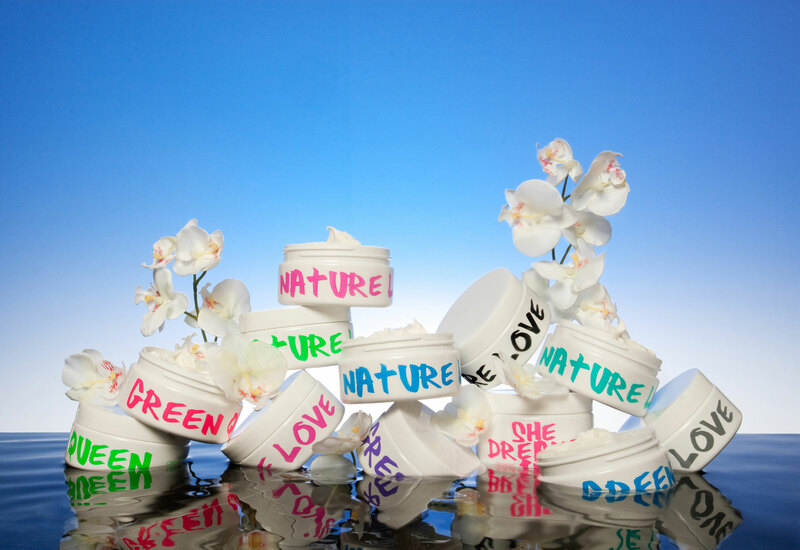 A rich and emollient formula made with organic golden jojoba... 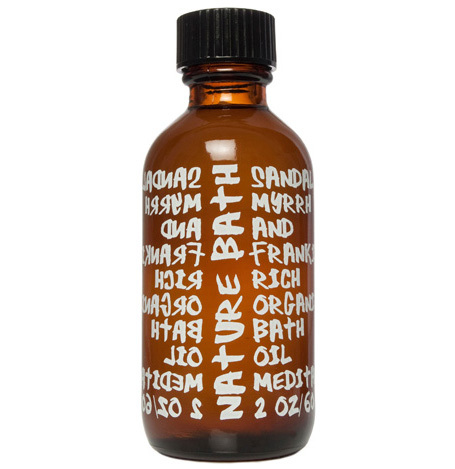 NATURE BATH RICH AND EMOLLIENT ORGANIC BATH OIL HUILE BIOLOGIQUE POUR LE BAIN 2 FL.OZ 60 ML A rich and emollient formula made with organic golden jojoba oil, organic sweet almond oil and organic and wildcrafted essential oils to soothe the spirit, body and mind. Each synergy features over ten specially selected essential oils. Synergies: Meditate - Sandalwood, Myrrh and Frankincense Sleep - Lavender, Marjoram and Petitgrain Awake - Rosemary, Mint and Basil Directions:Pour one teaspoon into warm running bath water. Organic bath salts with eucalyptus and lavender. Relaxing, cleansing and detoxifying. A luxurious... I AM WAVE ORGANIC BATH SALTS WITH EUCALYPTUS AND LAVENDER BAIN BIOLOGIQUE AVEC EUCALYPTUS ET LAVANDE 18 OZ 495 G Relaxing, cleansing and detoxifying. A luxurious blend of sun-dried sea salts infused with organic Australian eucalyptus leaf and organic French lavender flower to relax and cleans the spirit, body and mind. Directions:Dissolve one large handful organic bath salts in warm bath water, enjoy. Organic babassu and kukui nut bath oil. A luxe, moisturizing and healing bath oil made... MIX MASTER O ORGANIC BABASSU KUKUI BATH OIL HUILE BABASSU KUKUI POUR LE BAIN 2 FL.OZ 60 ML A luxe, moisturizing and healing bath oil made with organic Brazilian babassu oil and Hawaiian kukui nut oil and infused with extracts from organic plants and flowers for the spirit, body and mind. Synergies: Lemon & Juniper - purify and renew Fir & Pine - relax and renew Spruce & Sage - calm and relax Directions:Add one tablespoon to warm running bath water. Enjoy!